Nokia Lumia 1020 is a compact camera comes with the Smart mobile, users recommend this especially for the 41MP PureView Camera with Xenon flash, which is not new to the market because it gathers curvature and overall shape from the Lumia 920 and Lumia 820. Its façade will impress users with the 4.5-inch screen with 1280 x 720 touch screen display and it doesn’t have any physical buttons at the left edge of the device and the right side has a volume rocker, power/standby button and a dedicated camera button. At the base of the device you can find the micro-USB charging port and speaker or microphone and at the top you can find the SIM card tray, 3.5mm headset jack, another microphone for noise cancellation. At the back of the device you can find the large camera with Xenon flash, LED light and camera lens, which is slightly simmer than the Lumia 920. 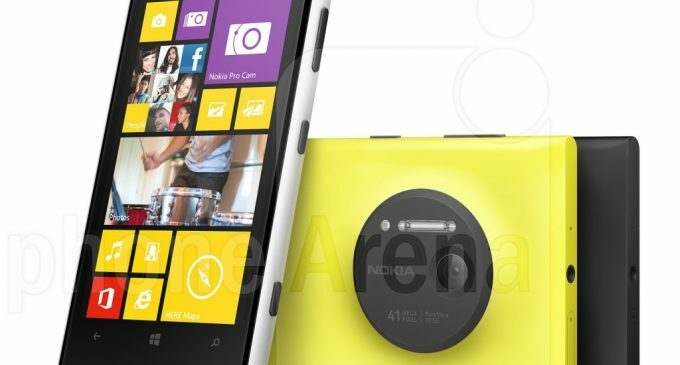 The Nokia Lumia 1020 is 130.4mm tall, 71.4mm wide and 10.4mm thick and weighs 158 grams. The Lumia 1020 comes in yellow, black and white with the backbone of Qualcomm Snapdragon dual-core 1.5GHz processor, 2GB RAM, 32GB on-board storage and a 2,000 mAh capacity of battery. Nokia Lumia 1020 has the Windows Phone 8 inside for those who looking for the Windows based mobile, which allows you to do the update by double tap on the display and also for turn it on or flip your phone over to silence it. If you do a swipe from the main screen to right, you will see a list of all your apps and settings, it offers the apps like Facebook, Twitter, CNN, Foursquare and more, but lacks in some apps like Instagram and Vine. Windows Phone 8 will leaves you guess the notifications but the other iOS and android mobiles show their notifications in the centre or from drop down box. 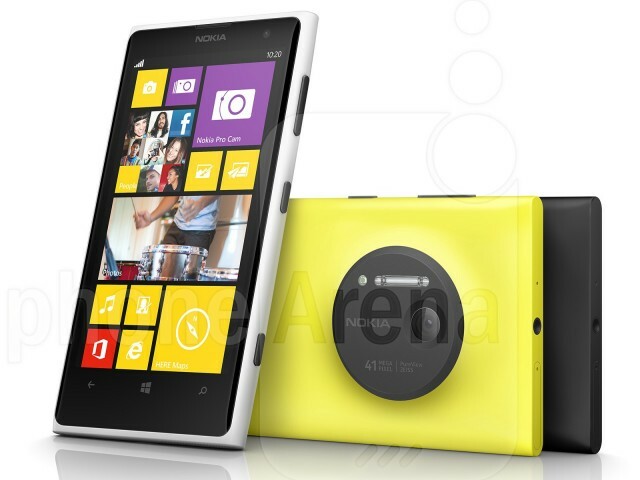 So prefer this Nokia Lumia 1020, if you are looking for the best Camera based smart mobile.